Global development lacks a clear definition, but it is often linked with human development and international efforts to reduce poverty and inequality and improve health, education and job opportunities around the world. A variety of data can be used to describe what is also often referred to as international development, including a country’s gross domestic product or its average per-capita income, literacy and maternal survival rates, as well as life expectancy, human rights and political freedoms. While humanitarian aid and disaster relief are meant to provide short-term fixes to emergencies, international development is meant to be long-term and sustainable. For years, global development was driven by the United States and other industrialized countries in Europe and beyond. Now, we may be on the verge of a transformative change – the transition to a multipolar world economic order. That’s what two World Bank economists suggest. By 2025, they predict, six emerging economies — Brazil, China, India, Indonesia, South Korea, and Russia — will collectively account for about half of global growth. This shift will have wide-ranging consequences on the international monetary system, North-South relations, and security and stability around the globe. Already, many developing countries appear to be recovering better from recent global financial and economic turmoil. Foreign investment in Africa has surpassed foreign aid to the continent. People in the Middle East and elsewhere are demanding political reforms to boost the economy and availability of jobs. As emerging economies grow, so will their private sector companies’ influence on global business, and it may become necessary to rethink global economic governance structures through multilateral channels such as the World Trade Organization, International Monetary Fund and other Bretton Woods institutions. Financial, monetary and trade policy reforms may be needed to ensure sustainable growth. Meanwhile, the international community is expected to continue pushing the ambitious development agenda outlined in 2000 in the U.N. Millennium Declaration. Great strides have already been made – in fact, over the past five decades, there has been more progress on global health and poverty reduction than ever before. The number of people living in extreme poverty (meaning, on less than $1.25 per day) fell from 1.8 billion in 1990 to 1.4 billion in 2005, according to the World Bank. Child mortality has decreased and access to clean water increased; the number of new HIV infections has fallen 21 percent since its peak in 1997. At the same time, achieving universal primary education by 2015 remains elusive, and so do other Millennium Development Goals. And while the majority of people in the developing world are living more prosperous lives now than they did before, many are worse off – people who Oxford University Economics Professor Paul Collier refers to as the “bottom billion.” Freedom and human rights are lacking in many parts of the world, as institutions such as Freedom House and the United Nations point out. 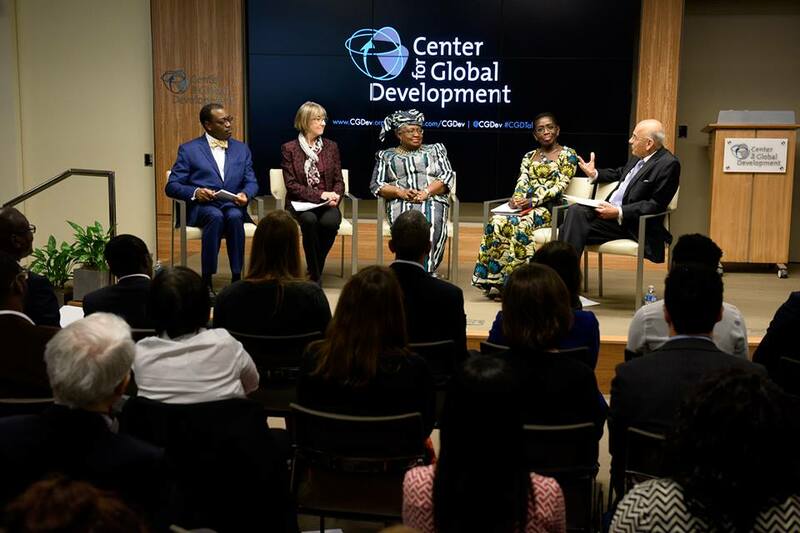 International cooperation and development aid remain catalysts for global development, whether the assistance comes through debt relief, budget support, technical assistance or impact investing. The global development community – multilateral and bilateral donors, foundations, nonprofits, companies, consultants, advocates and entrepreneurs – work at the forefront of this cause: to boost worldwide prosperity and ensure sustainable development.